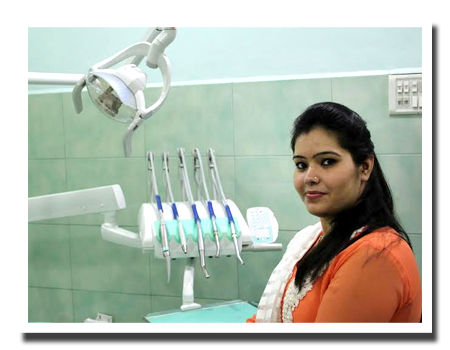 Dr. Shiba is one of the most versatile Indian Dentist, who has made it to the top through her hard work and sincerity. Extremely talented, her performance has always been appreciated by the patients. Dr. Shiba is a beautiful girl very down to earth in nature. She loves to be simple and is very kind hearted person. She is an extraordinary Dentist. Dr. Shiba Khan Pathan has commanding knowledge & understanding of modern dental technique and technology. She has a confident personality that makes patient relax with a sense of being in safe hands. She is very soft spoken & gentle, a family person by nature and has a firm belief in god.